Choosing a rug for any space in your house can be a difficult decision. Sometimes they set the tone, colour scheme and perform the very important function of unifying your furniture and décor. These pieces cover a large surface area and can define an area so it’s important to get it right! There are multiple size and positioning guides as to which rug would best fit your floor and the furniture you have. The material is also an important consideration when considering the wear and tear the rug is likely to endure over years of foot traffic. We want these pieces to tie the whole room together and maintain their integrity. 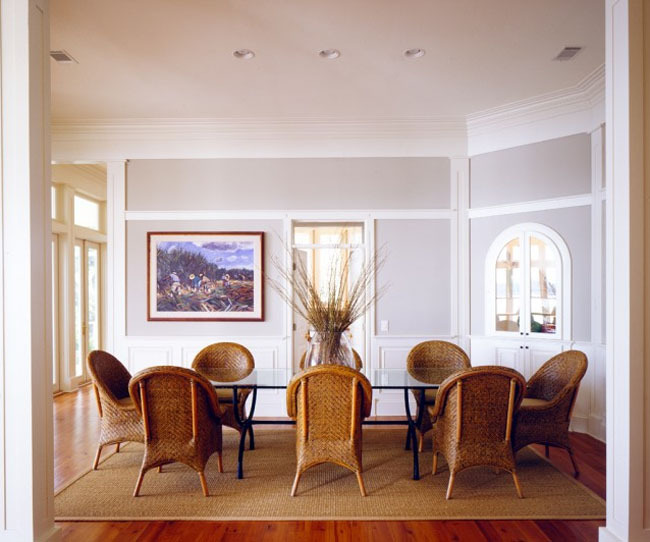 For rugs in the dining room – the general rule is that the rug under your dining table should be large enough that when guests slide their chairs out, the back legs should not slide off the edge of the rug. This means extending the rug by 24 inches around the table. 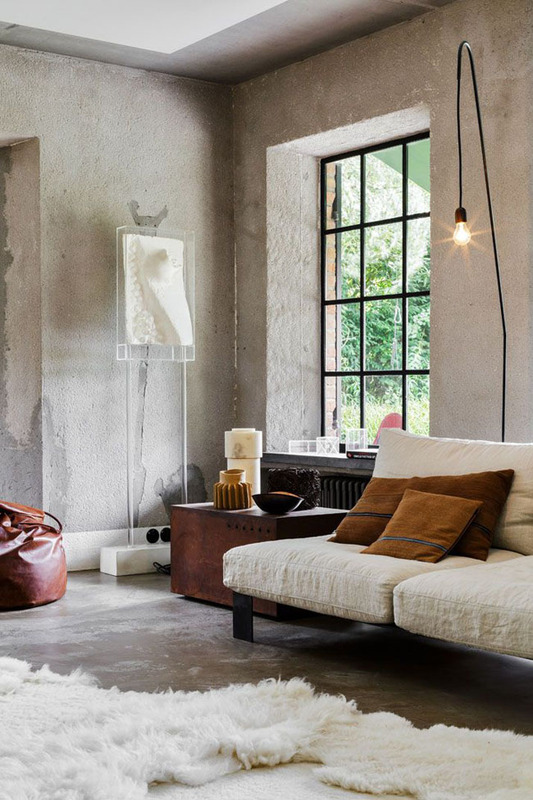 The room tends to look more cohesive if all the furniture legs are planted firmly on the rug. Not to mention, looking after the longevity of the rug, this means chair legs aren’t constantly getting caught on the edge of the rug causing ‘dog –earing’ similar to the pages of a book. It’s also a better guest experience not to get stuck pulling the chair in and out. There is also an unwritten rule to never have a pokey little rug floating in the middle of a large room. They tend to get bunched up and easily tripped over if they aren’t anchored to any of you décor. They don’t serve the purpose of providing the cohesiveness a room needs to be well constructed. Rugs should be big! The standard rule in this instance is to have at least 18 inches of bare floorspace from the edge of the rug to the walls. For small rooms, an 8 inch rule applies. This has been the standard for decades, and applies more for rooms that are enclosed and separate from surrounding rooms. Open living spaces allow for a little more freedom. In open living spaces you have the luxury of bringing multiple rugs into the same area, especially when there is more than one seating arrangement in the space. Here you can experiment with positioning the furniture in specific configurations; front legs on, back legs off, all legs off and all legs on. Rugs connect the various furniture pieces together while extending far enough into the room to create a sense of good proportion. It’s ok to buy beautiful rugs that may be a little too delicate for constant trampling of the kids, the pets and the guests. Rugs can also make stunning wall art and are often overlooked for their artistic merit. Why not hang your rug to create interesting wall covers that will be the topic of conversation in any space. If it doesn’t feel good underfoot – it’s not for you. Too scratchy? Too itchy? Attracts too much dust/pet hair or conceals anything that’s dropped onto it…. It’s probably not the material for you. Carefully consider how this rug is likely to feel in a year’s time, in the space you’ve chosen. One other rule that’s important in this instance is to consider thickness – for example, no thick rugs on already thick carpets. Avoid the home looking stuffy and being a magnet for dust. Thick rugs are best for hard timber or tiled floors to incorporate an element of comfort in living spaces or hallways. This is where you must consider colour and pattern. For visual subtlety, ensure the tone of the rug doesn’t differ too much from that of the flooring. This is the way to go for those who are err on the side of caution, not wanting to disturb the current flow of the space or worried about clashing with décor palettes. If you decide to have the front legs of furniture on, and back legs off the rug, it’s a good idea to have a rug that contrasts to the colour of the flooring, bridging the tone between the furniture and the floor. For those that aren’t afraid to make a statement, go bold with pattern and colour. 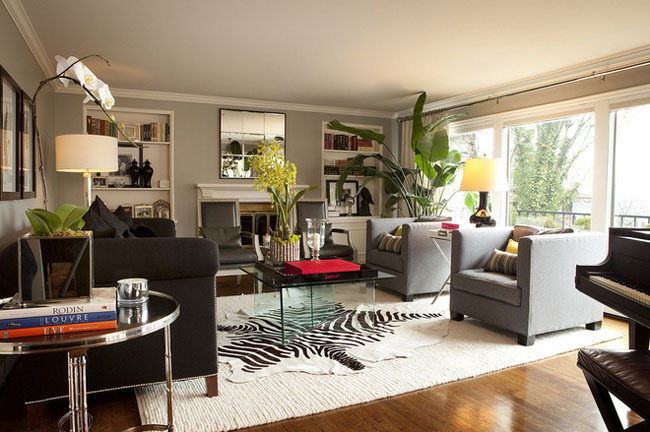 Geometric/graphic rugs usually make a good impression if your décor and furniture isn’t also too busy and patterned. 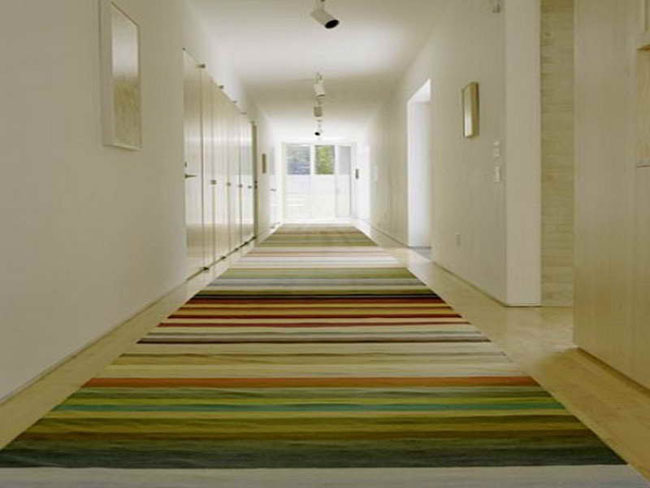 Statement rugs work exceptionally well in hallways where there isn’t much clutter and room to make an impact. Walkways should be covered for comfort and safety. Both feet should fall on the rug in high foot traffic areas to avoid tripping over. Visit our collection of indoor, outdoor, kids, designer, cotton-jute and hide rugs. 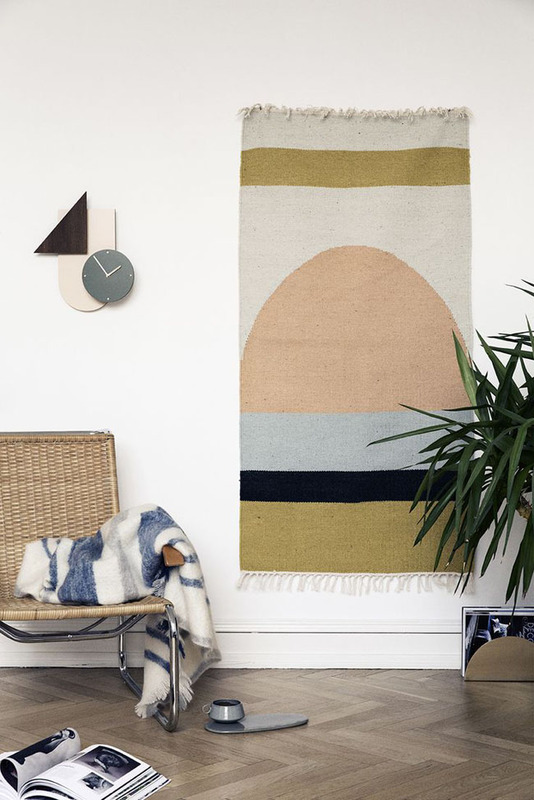 For more inspiration to bring you into the new year, check out our Rugs board on Pinterest.